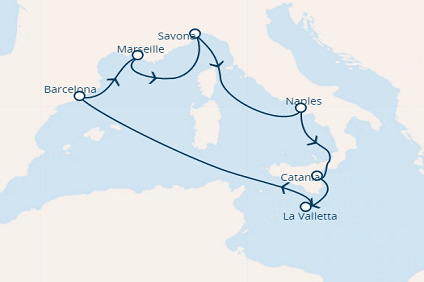 7 Night cruise sailing from Catania to Palermo onboard Costa Fascinosa. 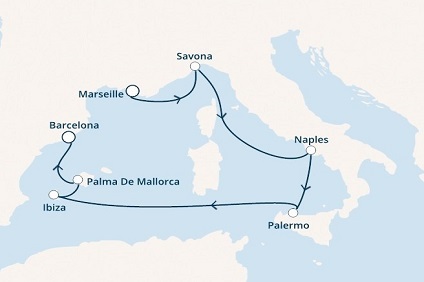 8 Night cruise sailing roundtrip from Barcelona onboard Costa Fascinosa. 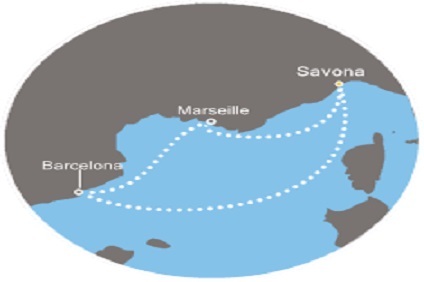 7 Night cruise sailing from Marseilles to Barcelona onboard Costa Fascinosa. 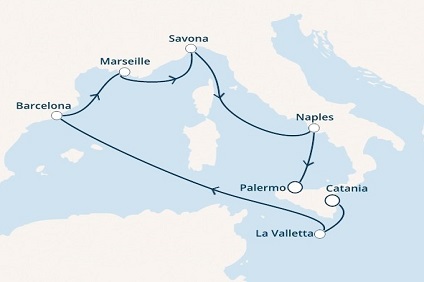 7 Night Cruise sailing from Savona roundtrip aboard Costa Fascinosa. 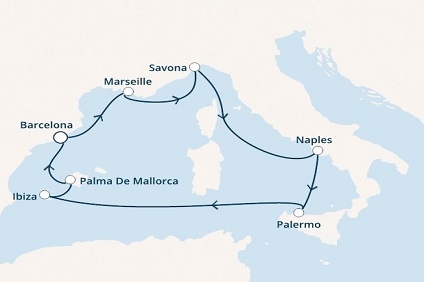 7 Night Cruise sailing roundtrip from Palma onboard Costa Fascinosa. 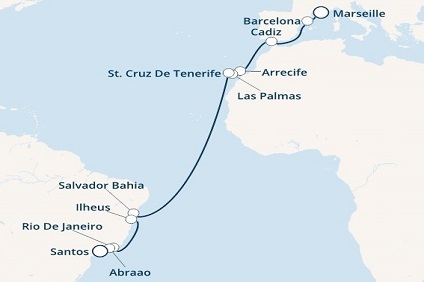 7 Night Cruise sailing from Barcelona roundtrip aboard Costa Fascinosa. 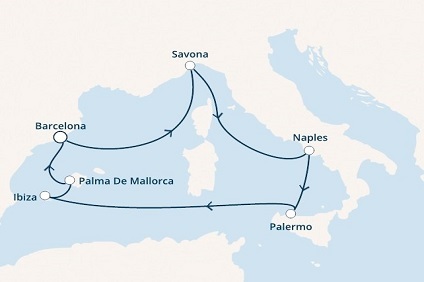 3 Night cruise sailing roundtrip from Savona onboard Costa Fascinosa. 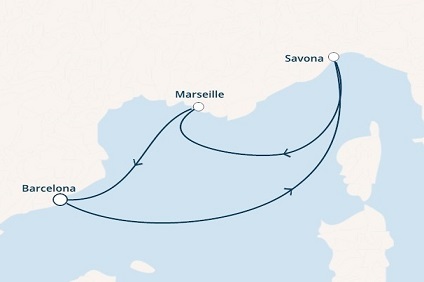 3 Night cruise sailing roundtrip from Marseilles onboard Costa Fascinosa. 3 Night cruise sailing roundtrip from Barcelona onboard Costa Fascinosa. 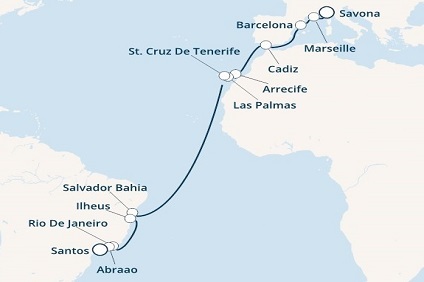 18 Night cruise sailing from Savona to Rio de Janeiro aboard Costa Fascinosa. 20 Night cruise sailing from Savona to Santos onboard Costa Fascinosa. 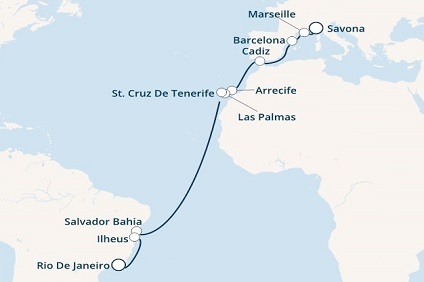 19 Night cruise sailing from Marseilles to Santos onboard Costa Fascinosa. 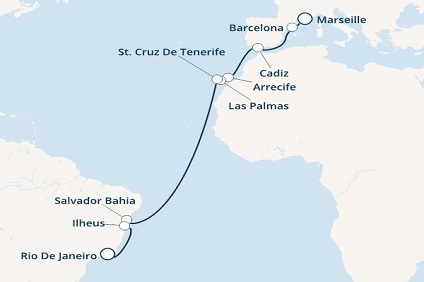 17 Night cruise sailing from Marseilles to Rio de Janeiro onboard Costa Fascinosa.